Description : Create a sample poll in seconds. 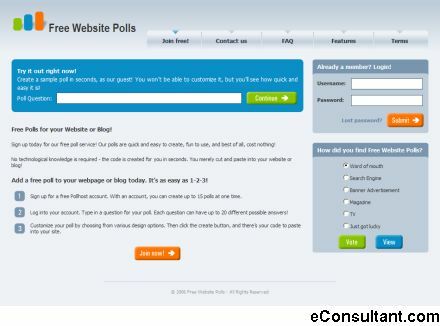 FreeWebsitePolls-polls are quick and easy to create, fun to use, and best of all, cost nothing. No technological knowledge is required – the code is created for you in seconds. You merely cut and paste into your website or blog.